Interstate Fire Protection is pleased to announce another fire protection system in our product line: ANSUL Fire Protection’s Aquasonic Water Mist System. 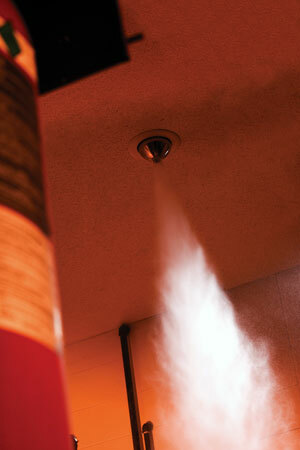 Water Mist Systems use a combination of water and nitrogen on a variety of Class B hazards. Safe for people, the environment and equipment, it is the greenest of all available fire suppression systems. Using their patented ‘Atomizer’ ANSUL has placed themselves in the front of the pack in the world of Water Mist Systems. This new technology allows the contents of Aquasonic to be discharged at high velocity using 1/3 the water and 10% less pressure than other Water Mist Systems. Typical applications for Aquasonic are machinery areas, insulated and non-insulated turbine enclosures, pump rooms, generators, transformer vaults, gear boxes and oil pumps. This system has received FM approval for spaces between 4591 to 36727 cubic feet. Interested? To learn more contact Interstate Fire Protection and we will happily answer all the questions that you have.